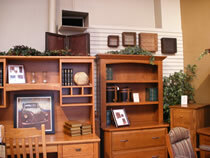 When choosing the right furniture store Columbus, Ohio there are several things that you should consider. Each of those things will point you to the same store – Amish Originals Furniture Co. Furniture is a very important purchase, so it is wise to start with a good selection and to know exactly what you are looking for. The old saying is that you get what you pay for. It may never have been more right than it is in reference to furniture. If you buy low cost furniture, you are likely to end up with low quality, short-term furniture that will make you angry when you have to haul it out to the curb. It may also make you sad while it is in your home because it is never quite what you wanted it to be, not by looks or by function. The more care that is put into building furniture, the longer it will last and the more likely it will be to prove itself worth the cost. Amish built furniture, which can be easily bought in one furniture store Columbus Ohio, is highly crafted and well built – meant to last for many years and to look beautiful. Many people have seen examples of Amish built furniture and have fallen immediately in love with it. But, for one reason or another, they are unable to buy their furniture that day and are left thinking about it when they are ready to make a buy. Unless you live somewhere near the Amish, you cannot be assured that you are getting real Amish wares, especially in stores that seemingly have never ending supplies of items that look remarkably similar. Remember, because it is made of all natural materials, Amish furniture is usually more distinctive than that. You could drive around and look for Amish vendors, however that is not very practical, especially if you are not driving a truck that would allow you to carry your purchases home. Instead, you can shop at Amish Originals Furniture Co., where the craftsmanship of more than 70 Amish families from in and around Ohio are sold in one convenient location. People often think that the Amish only build outdoor items such as swings, picnic tables and benches, but that is not the case. If you can imagine it, it is built and built well by the Amish. Because they choose to live simply, they may not have as much of their own furniture in their own homes or they may not use the pieces that they have in the same way. For instance, a small shelved unit might be used by the Amish to hold their home canned food items but will be employed as a book case, a curio stand or even a stand for a small television set in your own home. It is well made, beautiful and, best of all, can be used for a number of functions in various rooms around your home.